Cook, Serve, Delicious! is one of the games you can get in the Humble GameMaker Bundle. YoYo Games has released a Humble Bundle with a ridiculous amount of value, especially if you want to get into indie games development. At the moment they’re offering $1,885 USD of software, source code and games for only $15 USD. While I already own GameMaker Studio Pro on Steam I don’t own the export modules for HTML5, Android, iOS and Windows UWP which normally cost up to $300 USD each if purchased off Steam. Considering I can now get all of these for $15 USD is crazy. 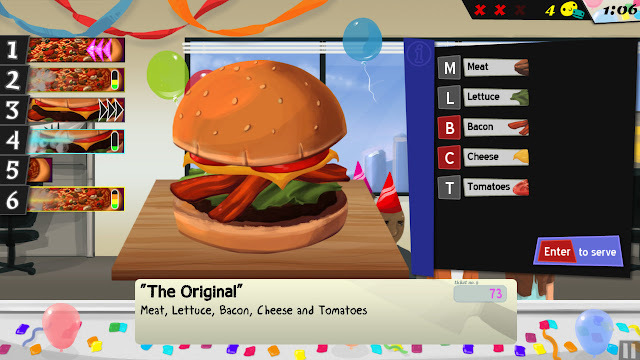 Not only that but you get a couple of neat games, especially Cook, Serve, Delicious. Also, if you don’t think GameMaker Studio is a capable tool, you might want to rethink that after playing games like Hotline Miami, Risk of Rain, Gunpoint and Spelunky - all critically acclaimed games using GameMaker Studio. Just a note to the Steam fanbois though, this GameMaker Studio Pro and its modules can only be redeemed from the official GameMaker Studio website and consequently aren’t the Steam versions. So if you wanted to do what I did and add the modules to your Steam version of GameMaker Studio, I don’t think this is possible. But who cares! It’s $15 guuuuuuuys. Oh, most of the games themselves though, they’re redeemable on Steam.